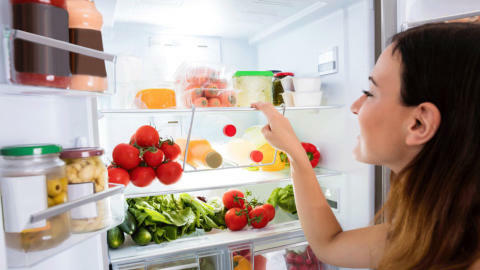 Reader Organizing Tip No more wasted food and an organized refrigerator To keep the refrigerator organized so less food is wasted, I rely on placing a label and date on nearly everything that goes in the refrigerator. Leaf lettuce is washed, bagged (including a damp paper towel) and labeled, "Lettuce 11/5/19" for example. I do this for all leftovers, especially. Actually we call them “planned overs” at our house. Everyone can read what is in the container. The date is noted so the oldest gets used first. I use a simple piece of recycled paper (something someone sent that I've read already) and use scotch tape to attach it. Remember to take the label off of the lids before you wash the containers. I even write the date purchased on deli items before storing them. Keep up the good tips…thanks!! Deborah Christman, Central Illinois Debra has been married 40 years. She loves to read, cook, sew and is learning to draw.